Jawrsize is a unique piece of fitness equipment designed to help people work out their jaw and facial muscles, specifically created for those that have lost a bit of weight in the past and want to eliminate any remaining double chin left behind. The only place that this fitness tool can be purchased is via the online e-commerce platform set up by this company, and each order includes free training guides, videos, and accessories to help improve the results of this aid. 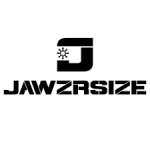 Customers can take advantage of a 15% off discount by ordering the Starter Pack from Jawrsize which includes free shipping.